Held in a webinar-style format, these information sessions offer a wonderful opportunity to hear more about the program's distinctive features and curriculum—as well as giving us ample time to answer any questions you might have. Are you looking for a graduate degree that will teach you to think strategically by integrating engineering practice with business and leadership skills? 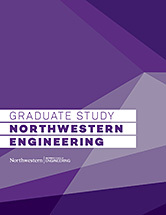 Register for the Northwestern Master of Engineering Management (MEM) program information session and learn how one of the oldest, most established MEM programs in the country can help you advance your career. We also extend a special Invitation for Information Session Registrants. As a registrant of the information session, you are cordially invited to attend the MEM437 "Strategic Management" course immediately following.